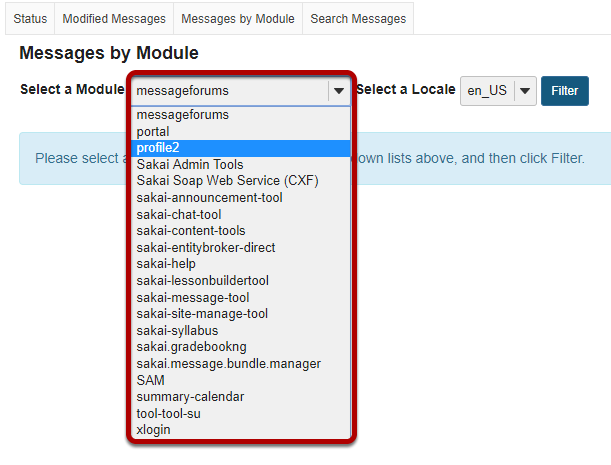 Sakai Community DocumentationSakai 12 Administrator Guide (English) Message Bundle ManagerHow do I view system messages by module? 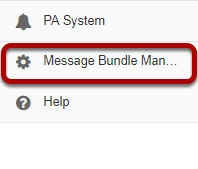 All system messages for that module will be displayed. 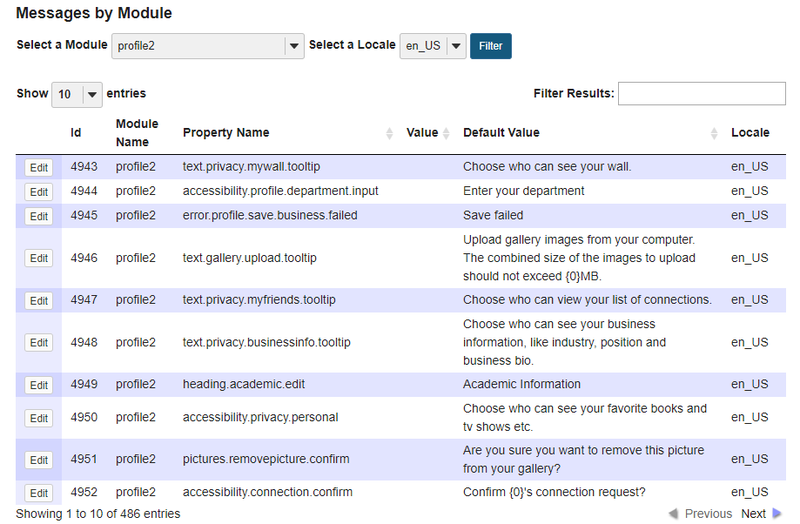 If desired, you may filter the results further by entering a keyword into the Filter Results field. This will display items containing your keyword within this module. Prev: How do I search system messages? Next: How do I customize a default system message?